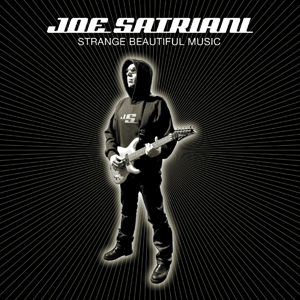 Strange Beautiful Music, released in the summer of 2002, is my favorite Joe Satriani album. It has a lot of good things going for it, so let me dive right in. First and foremost, this album is an absolutely gorgeously produce record. No other album in Satriani's catalog features such an absolutely gorgeous overall sound. The guitars, drums, keyboards, and bass all have a delicious analog warmth to them. The low tom tom drums reverberate and decay deeply. Even when the band is playing full-on, you can hear the full sustain and decay of the floor toms. The guitar tones are particularly crunchy, but you can really hear the power tube saturation come through - a nuanced tonal attribute that typically takes a back seat to other production concerns. In fact, very few records are produced clearly enough to highlight the power tube compression of the guitar amplifiers. There's something else that makes the production quality stand out on this record: Joe's expanded palette of sounds. At any point on the album, you might hear sitars, banjos, acoustic guitars, clean-toned guitars recorded direct, and so on. (Even an orchestral harp played by none other than Pia Vai on "Chords of Life.") That's in addition to the various keyboard patches that provide additional textures of their own. Naturally, using so many "additional instruments" in the context of an album will demand a great deal of the arrangements, and also of the production. Being such a remarkably well-produced album - such a stand-out in Satriani's catalog - naturally makes one wonder what new personnel were brought that made for such rich sounds. Incredibly, though, there were no new faces here; the album was produced by Satriani and his longtime collaborators John Cuniberti and Eric Cadieux. So, it's the same roster, but they just happened to have out-done themselves on this record. The songs themselves show Satriani in a more experimental mindset, but in this case the experimentation is more "organic." I mentioned the various non-guitar instruments brought in to add richness, but even the song titles themselves indicate where Satriani wanted to go with this record: "Oriental Melody," "Belly Dancer," "Seven String," etc. You can take this however you like, of course, but when I listen to this album, I hear Joe Satriani branching out in textures. It sounds as though he was trying to pull new sounds into his repertoire by any means necessary, including drawing instruments and melodic and rhythmic approaches from Eastern cultures. In a way, it's sort of the opposite approach to that which he took on his legendary early-80s EP, for which he played all sounds on his guitar (striking the pickups for a bass drum sound, striking muted strings for a snare drum sound, detuning for bass, etc.). He began his career by trying to squeeze every sound imaginable out of his electric guitar. On Strange Beautiful Music, when he wanted a new sound or texture, he seems to have reached for a new instrument. The result is a rather powerful statement from Joe Satriani. I like the fact that he spends so much time outside of his comfort zone on this record. This is perhaps most evident on the song "Sleep Walk," which is a genuinely authentic 1950s instrumental ballad. There really isn't anything "traditionally Satriani" about it, and in fact if a listener heard this song out of context, he or she would never even imagine that it was a Joe Satriani song. The guest appearance by Robert Fripp heightens the surrealness of the song all the more. There's Joe Satriani playing clean-toned jazz guitar while Robert Fripp plays an eerie and decidedly not-50s Frippertronics sound. That's the kind of thing you get on this album, and it's why I love it so much. This is Joe Satriani reaching as far as his creative ability will reach, incorporating varied instruments and sounds in a bid to produce a record that stands apart from anything else in his catalog... and he nails it.